This is my favorite time of year for so many reasons. The days are longer, it's starting to warm up, and summer parties are just around the corner! It's also the time of year when my very talented blogger friend (and fellow Ramos! ), Kate, rounds up a group of food and cocktail bloggers from all over the country (possibly even world?) and has us join in for a very fun margarita & tequila-themed week of blog posts! In previous years, I shared recipes for Fresh Ginger Margaritas and Rosemary & Fresh Watermelon Margaritas. This year? 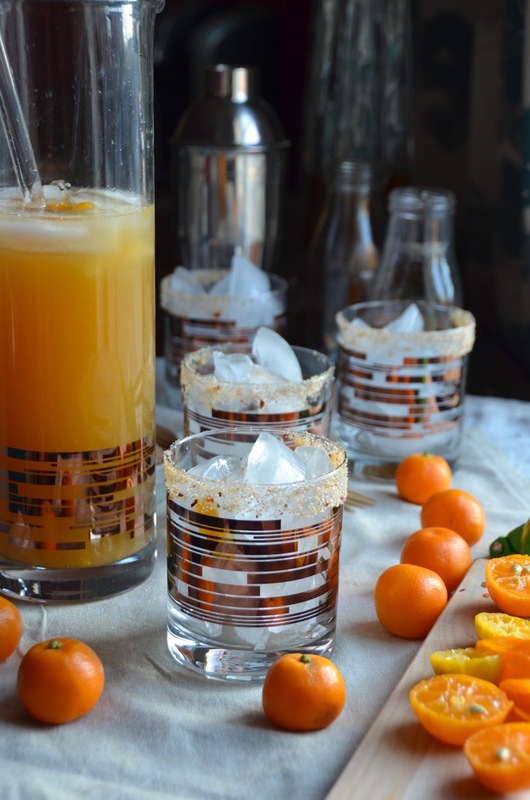 I'm going super tart (and kinda niche) with fresh Calamondin Margaritas! 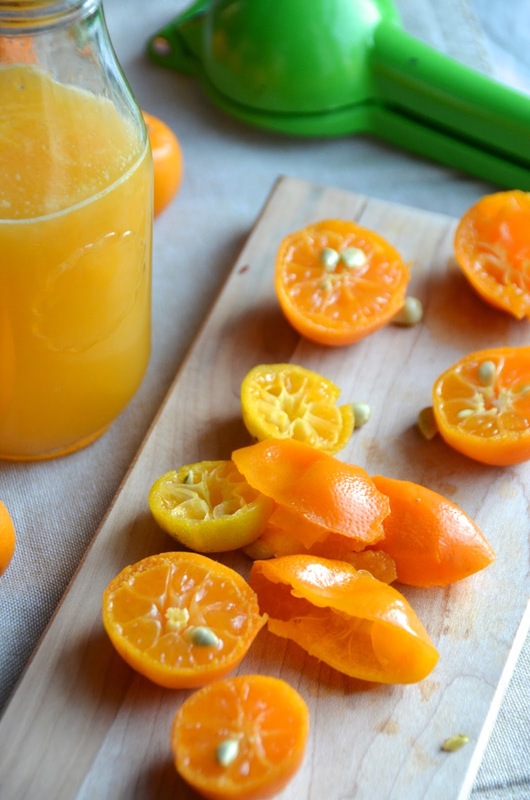 If you've never heard of calamondin, get excited! Also known as calamansi or kalamansi lime, these tiny little tart citrus fruits are a cross between mandarins and kumquats. They look like key limes when young, but as they ripen, the skin becomes bright orange. The skin is thin like a kumquat, but full of super tart and slightly floral juice that you can instantly release with just a gentle squeeze between two fingers. It's an incredible flavor and if you can get your hands on fresh ones, don't hesitate to try and play around with them! They make wonderful homemade marmalade and pickles, and the juice is excellent for using in marinades. If you can't get your hands on the fresh fruit, a lot of Asian (especially Filipino) markets sell frozen juice, which is pretty great, too, and perfect for cocktails. When it comes to cocktails I'm all about two things--spice and acidity. 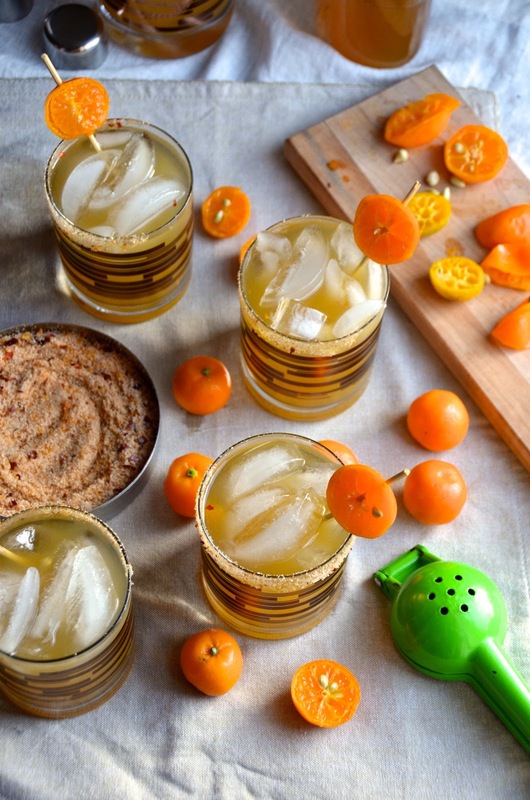 I like my drinks super tart with a hint of spice, and calamondin juice lends itself well to both those things. 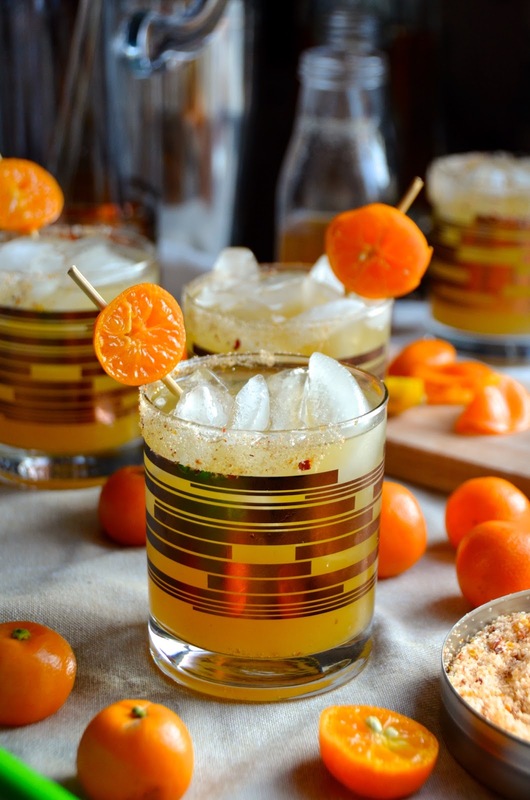 Instead of a traditional salt rim, I use my DIY Spicy Citrus Cocktail Salt, which adds the perfect little extra kick to take these over the top! 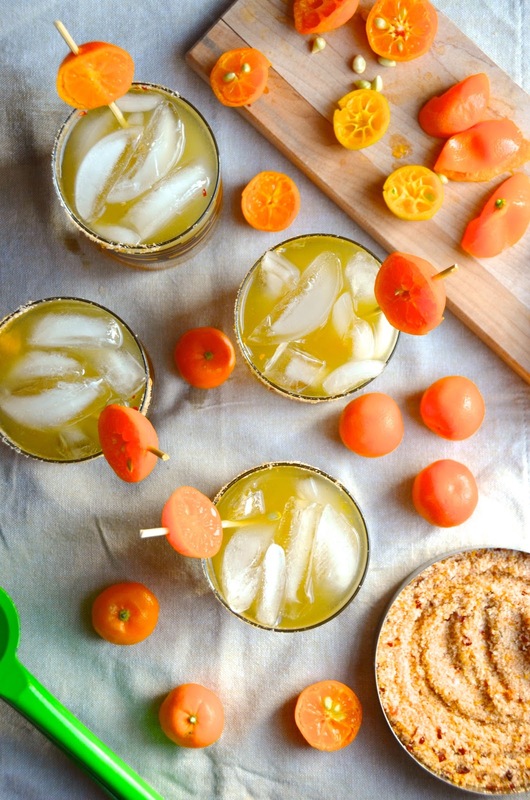 These calamondin margaritas would be a welcome accompaniment to all kinds of summer meals, from tacos to pork roasts. Want more cocktail inspiration? Check out all the fun recipes on the Margarita Week page, and follow the hashtag #margaritaweek on Instagram! Combine the tequila, calamondin juice, and Cointreau in a large pitcher and stir well to combine. Rub the rim of four high ball glasses with calamondin juice (or use fresh lime), and dip in kosher salt. Fill glasses to the top with ice and divide margarita among the glasses.